Leggings seem to be a basic wardrobe necessity of which my wardrobe is lacking. With all the cotton knits the store is now carrying, it seemed like a good opportunity to remedy this situation. Being such a simple design, they should be quick and easy to make. I liked McCalls 6360 as it has a variety of pant lengths to choose from. Starting with some basic black cotton lycra knit, I chose option E (middle style on bottom row) in size 14. Option E actually has small side zippers at the bottom of the leggings but I omitted those. 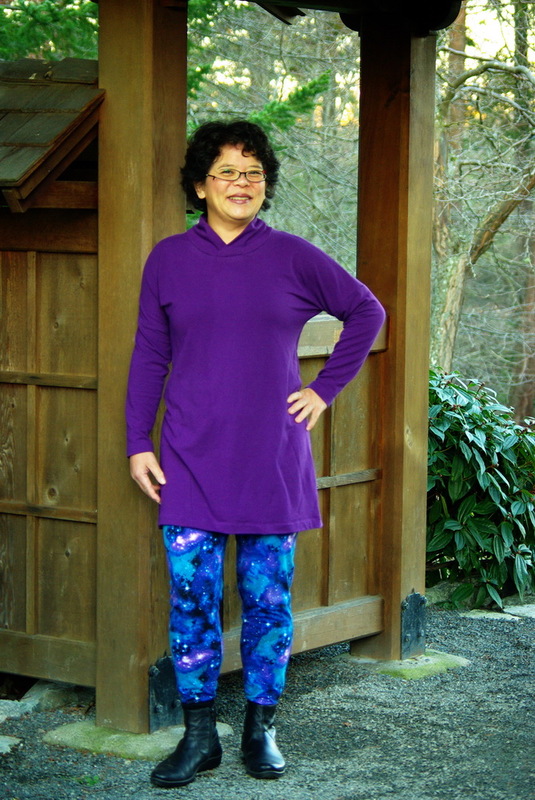 Note the purple top and fancy gold sandals worn with the black leggings as per pattern envelope picture. So, can you spot the difference? Same colour top, same colour leggings, even some gold sandals (although I will admit not as fancy!) Standing at 5’3″ or 161cm in my bare feet, I don’t consider myself a short person. But certainly not model tall either. Yet the finished length on this pattern comes down to my ankle, not my lower calf as in the pattern picture. I ended up shortening them by 5″ or 12.5cm! 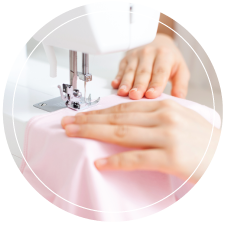 There is a shorten/lengthen line to do this, but I spread out the total 5″ by also shortening at the hem line for style A, the shortest style as well. 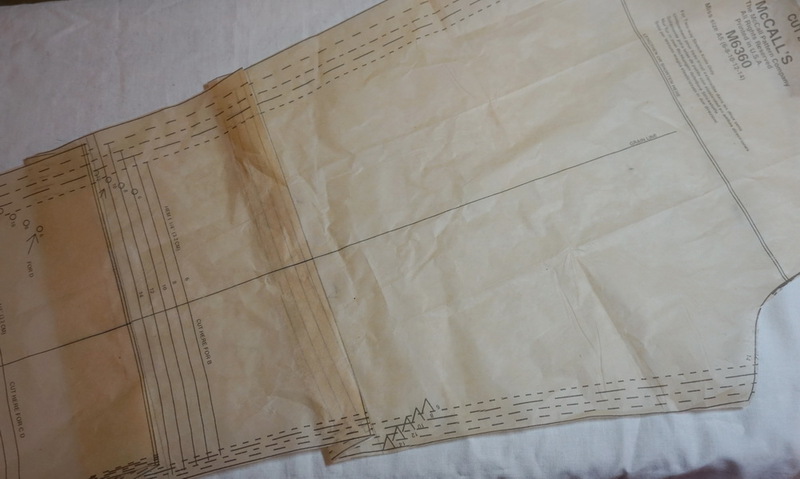 Now I have a closer approximation of the length suggested by the pattern. 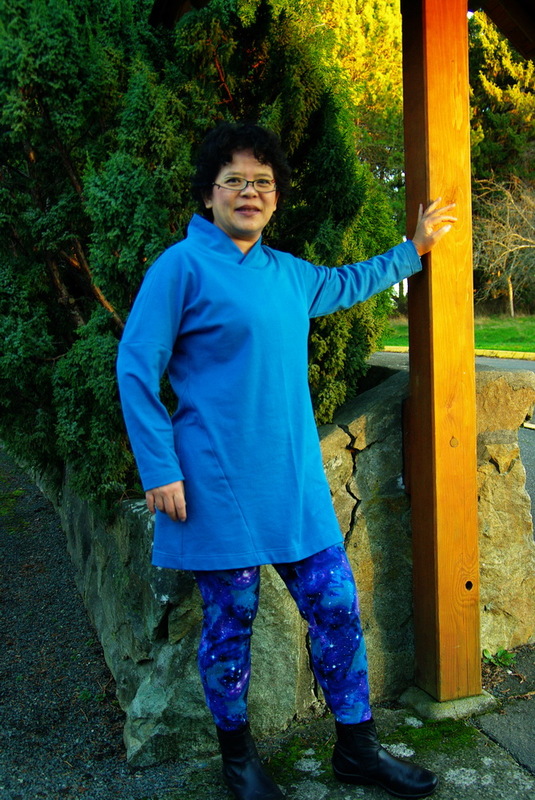 The purple top is a bamboo cotton french terry but in a size medium. As per my comments when I blogged about B6388, I think the size L is too big. I’m much preferring the smaller size. And even though I already shortened the top by 4″ or 10cm, I think I will shorten it some more by a couple inches. It may take a couple tries, but success is feasible!